So many wonderful things to talk about this morning as we approach the French Market Event this week. As you know, the fabulous Carolyn Westbrook will be at Sweet Salvage Thursday morning to sign her new book "Through The French Door". The Book Signing will begin at 9:00 am. "Through The French Door" and "The French Inspired Home" will both be available for purchase at $29.95. Carolyn will be here Thursday 9:00 am - 1:30 pm. Her books will be available throughout the weekend. Reservations are not required, it will be on a first come first served basis. 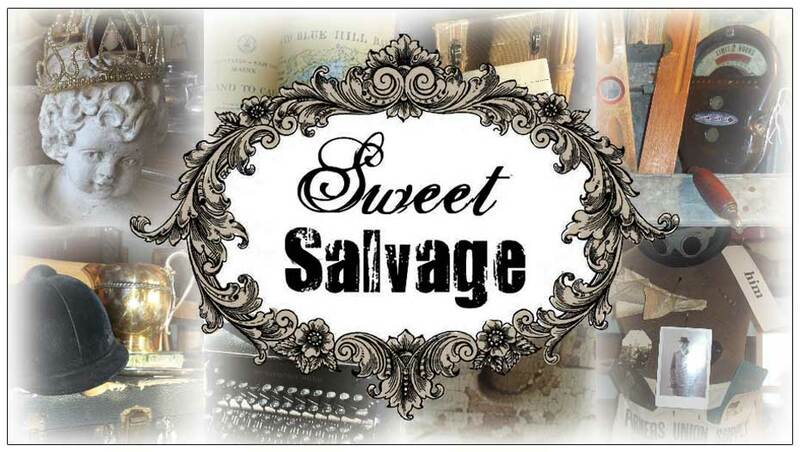 Sweet Salvage will open the French Market Event at 10:00 am regular time. VIP contest winners will check in at 9:30 am for early entry at 9:45 am. Sweet Salvage will not host a Preview Party this month. The Preview Party will be seasonal based on certain event themes. The great news is Sweet Salvage will throw a Preview Party next month for our Holiday event. Tickets will be available online after the French Market Event. I will keep you posted as we get closer. The Sweet Gang reviews past events and work together - coming up with fresh design ideas and ways to improve our guests shopping experience. We are very grateful for the excited group of Sweet friends who tirelessly wait in line on Thursday morning but the number of dedicated friends has out weighed our safety guidelines. Your safety at Sweet Salvage will always be our number one priority. With that in mind, your request to limit the number of guests inside Sweet on Thursday morning has been granted. The Sweet Gang every month prepares 260 lanyards to be given out to guests. In the event that the lanyards are all given out on a Thursday morning, we will stop entry and wait for the lanyards to recycle. As an added bonus the checkout line should move more quickly as we have added additional help and cashiers. We appreciate all of your comments and suggestions. Thank you. Now for the fun stuff.....French Market Pictures!